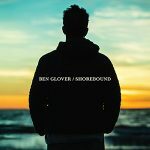 In support of his new album, Shorebound, Ben Glover will be touring the UK throughout May and into June before heading across to the Netherlands for four dates. The tour will see Ben playing venues including The Blue Lamp in Aberdeen, Edinburgh’s Rose Theatre, Cambridge Juntion as well as two dates at London’s Kings Place where Ben will be supporting Mary Gauthier. You can find all of the upcoming dates below. Shorebound, the new album is available now from Propermusic, Amazon, iTunes, HMV and all good record shops. It includes songs co-written with and featuring Gretchen Peters, Mary Gauthier, Ricky Ross, Robert Vincent, Kim Richey, Amy Speace, Angel Snow, Malojian & Matt McGinn, Neilson Hubbard and Anthony Toner.